I just want to add some healthy stuff''s to my Chapathi flour before kneeding them. When i had corn's, how could i leave them. Here along with the corn, i added some Jeera Powder and Corriander leaves for easy digestion. Have all the ingredients except milk in a large bowl and knead it by adding milk. Have more flour to roll the dough ball's so that it dont get broked. It is hard to roll, as the corn's will break out. 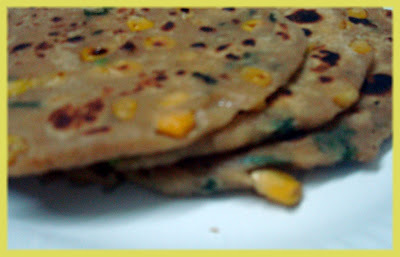 and cook these chapathi's in low flame, to avoid the corn's getting burned. Try this for your kid..hope they will enjoy having this. 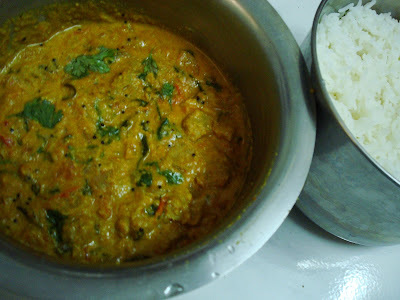 When I read about Corn Curry from Sujatha's Spicykhazana, i just want to try, to know how it would have tasted. 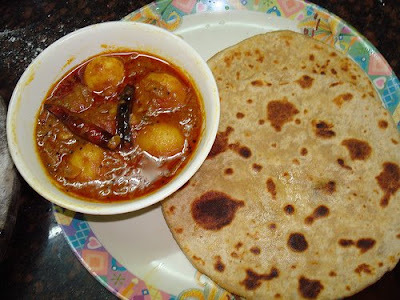 Well it was really a different delish side-dish for chapathi. I added some Kasuri Methi to it. It tasted absolutely different. Avial with Pesarat and Care for a Heart..
Srivalli..Iam Proud to say, that i know her. Srivalli has taken pain in Caring for collecting donation for Lakshmi's Heart Surgery. Lakshmi a mother of two need fund's for her heart surgery. You can donate even a small amount, which can help her to survive for her two children's. You can contribute thru Chip-In given here. Check in Raffle Prize List and at the Contributors List. 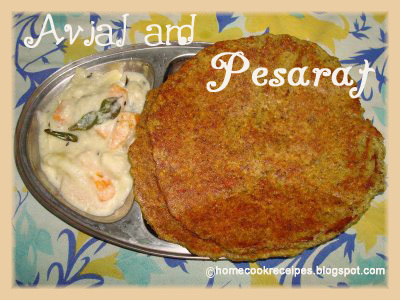 Avial with Green Moong Dal Pesarat is an absolute, delicious, Nutritious Break-Fast. Since My hubby along with my camera has gone on a trip, Iam unable to try and post new recipe's here. 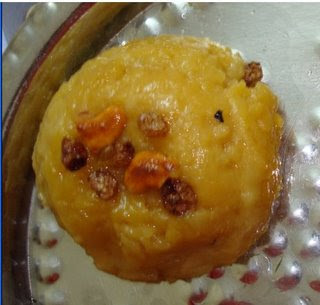 But when I see you people posting the recipe's for the events revolving on blog globe, i could not tie my hand's and sit, that's Iam re-posting this recipe, which i had tried a long back. As it was tried long back, i dont remember the recipe for pesarat. But the recipe for avial was written on the same day..here it is.. Boil the vegetables in a pressure cooker upto 2 whistles. remove the skin of colacasio and potato and cut into pieces. cut the carrot too..finger size shapes are preferrable for all the above vegetables. take 2 spoons of rice and half spoon of cumin seeds and soak them in water for 10 minutes. after 10 minutes grind the soaked rice & cumin seeds with green chilli and grated coconut. set the paste aside. now add coconut oil to the pan. do thalippu with cumin seeds and curry leaves. add the boiled and cutted vegetables. add little salt. now add the paste and stirr so that the vegetables catch up the paste and let it for few seconds in low flame. now add curd mixed up with water. after one boil remove. switch off the stove and serve. The Best Side-Dish for Adai is Butter and Jaggery..
Iam sending this combi to WBB-Combi Break-Fast's event hosted my Masala Magic. 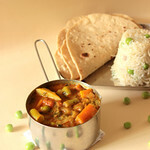 This Curry goes well with chapathi or with any Indian bread. Boil the soya chunks in water (add ¼ spoon of salt in water) for 10 minutes. Then Squeeze them and put it in cold water. Squeeze them again and drop them in cold water to squeeze again. cut the Soy chunks into half. In a kadaai /Pan..Add 5 spoons of oil. Add mustard. When it crackles..Add sombu/fennel. Now add Slitted Green Chilli and finely chopped onion and fry it well. After the onions got fried add finely chopped tomatoes. Fry them well. Now add turmeric powder a pinch, and Soya chunks. Mix them well. Add the grounded paste and mix well. Add water as per the consistency you require. Add coriander leaves and Curry leaves and close the kadai with a lid. Let the fragrance of the curry arrive and the oil leaves at the edges of the kadaai. My Grand mother's Mother(my avva) used to make hot hot tiffins in the evening for us. Evening at 4'o' clock sharply, hot tiffins will be in our hand. 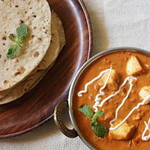 That too with a suitable side-dishes and the tiffins vary from day to day. unfortunately i enjoyed these tiffins only during my holiday's. Some of the tiffin's that i have really enjoyed are, Spongy Aappam's made with kallu(a local hot drink) along with thick coconut milk, Crispy Rava Dosa's with Coconut chutney(Grinded on stone), Podi dosa's with sambhar, Rava Idli's with Tomato Chutney, Kancheepuram Idli's, Soft Bonda's and Crispy Bajji's. Sound's delicious right. How lucky is my mom to have her grand mother to cook all these delicious tiffin's to my Dad(avva's Grand son). When i was in Bangalore, MTR gave me the same experience and taste that my avva cooked for us. I dont mind to wait for 2 or 3 hours to treat my tongue and to hang on the sweet memories. Whenever My Dad comes over to Bangalore, we go to MTR(Mavalli Tiffin Rooms). My Dad likes the Karnataka Special's like Set Dosa's with Sagu, Corriander Rava Idlie's from Adigas and Masal Dosa's. So Here is the Corriander Rava Idli, that i tried, i suggest you to add more finely chopped corriander to this..The idli should look Greener and only thing that could be spotted in idlie's are the golden cashews..
Roast the Rava with half a spoon of ghee. mix the rava with sour butter milk thoroughly so that no lumps are allowed. Fry the seasonings in oil along with chopped onions for about 2 -3 minutes. add salt, chopped chillies, coriander leaves, and curry leaves. Mix well and pour into oil-applied Idli plates(put ghee fried small pieces of cashews on the idli plate before the rava mix goes in) and steam for 15 minutes. 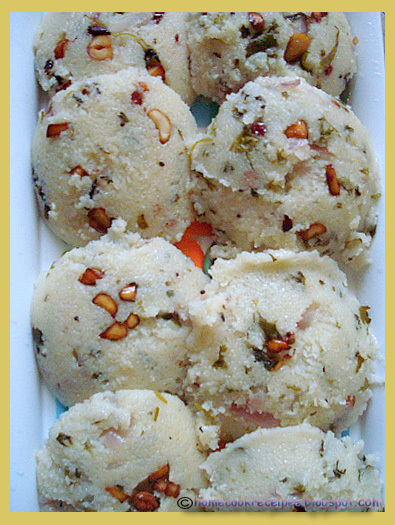 Enjoy it Hot with Coconut Chutney and Potato Sagu. To Know about Varalakshmi puja click Here. To listen to a Audio by gurukkal for performing puja(in Tamil) Here. 3. Ghee-1/4 cup..its upto you. Soak the rice and dall for 10-15 minutes. now pressure cook it by adding milk+water. (it will be more tasty when you add more milk). rice+dall=1 cup in sense water/milk should be 4 cups. 1:4 ratio. now pressure cook it for upto 4 whistles. then mash it finely. by the same time put the jaggery in a kadai and add water till it covers up. melt the jaggery and filter it. now you make jaggery syrup...it should boil atleast for 10 minutes. (depends upon how much amount of syrup you are making). when the syrup dropped on a plate it should look like a dot. now add crushed cardomans and saffron. and add mashed rice+moong dall. keep stirring it. allow them to boil. now add ghee to it.let them boil and comes togeather(surundu varanum). add ghee roasted cashews and dry grapes and serve..
i learned this method after a several trial versions..thanks to my Husband for risking at many festival lunches. now he is very happy on my learning. more ghee you add..it will taste like temple prasadham..
1. 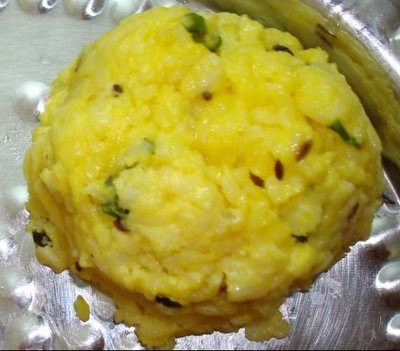 Rice and moong dal should be mashed and it should not be very tight..if it is tight add milk. 2. The jaggery syrup should not be very thick...keep standing till it reaches correct stage. 3. Add rice and dall to the syrup and keep stirring it in low flame. it will atleast take 5 minutes. 4. 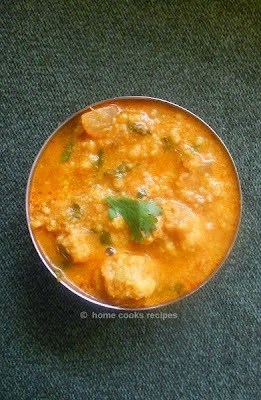 Chana dall can also be added. 5. When you make this just take little mashed rice and dall and season it with ghee,cumin, seeds,ginger,curry leaves,pepper,salt and add it.. your pongal is ready. Have a Great Puja Time and Nice Week end!! This is my old post..iam re-posting it. This leaves to Srivalli's Curry Mela. Boil the baby potatoes and remove the skin of it. with forks put several holes on it..so that it will absorb some gravy into it. keep them aside. Take a thick bottomed kadai, start seasoning with mustard seeds, curry leaves, add red chillies here. now add finely chopped onions and fry..add a bit of salt at this stage. after frying onions add tomatoes(cutted down into small pieces). tomatoes should mix up with onions. when that stage comes add turmeric powder, chilli powder, corriander powder, salt and fry them..when it starts getting holded to kadai..sprinkle some water and add the boiled baby potatoes. now let the potatoes mix up with onion and tomatoes for few seconds..add water as per the consistency u require. now when the gravy starts to boil add butter and close the kadai..after the gravy starts getting thicker remove it from the stove and add corriander leaves. 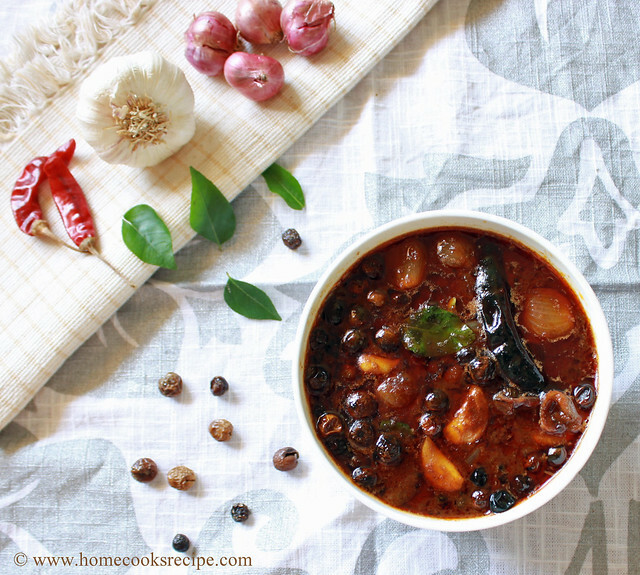 This curry goes well with chapathi and dosa. I used Aachi kuzhambhu milagaai thool as chilli powder. 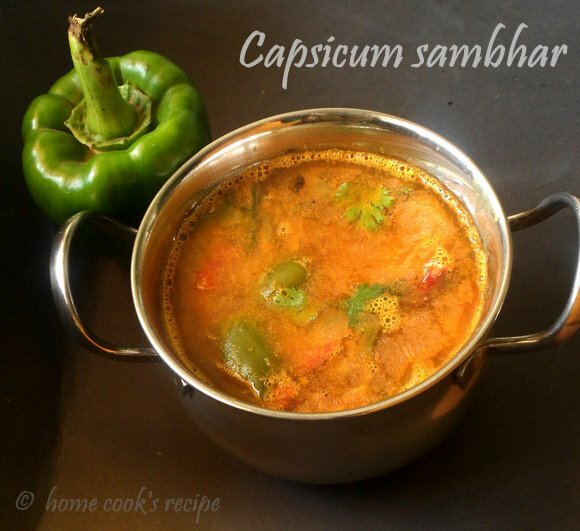 Power of capsicum in sambhar is simply amazing. whatever i may tell, it could be felt only on trying it. I prepare this capsicum sambhar whenever i am in short of time to fry the veggies, i could fry these capsicum slices in no time and the flavor it imparts in sambhar is the speciality of this green veggie. I have used only green capsicum while preparing sambhar's. it goes well for both idli or with rice.